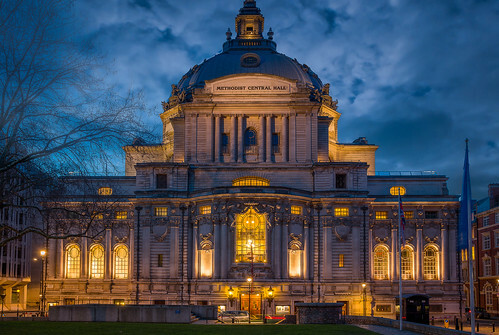 This place has a special place in my heart because these days it's the largest conference center in Westminster, and also the location where I spoke on the main stage for LeWeb London in 2013. They started building it in 1905, finished it in 1911ish, it's been the head office for Methodist church until 2000, and it's by all counts an amazing and grandiose building that does central London proud. But for me, I'll remember it for the grand stage and beautiful acoustics.